Bullseye...you found the perfect little boy shoes! 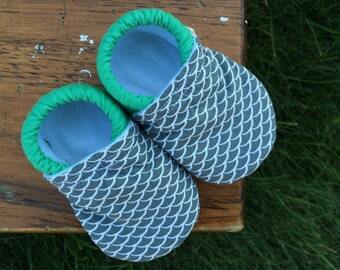 They are made from 100% cotton fabric, are lined with fleece*, and come with soles of your choice (i.e. either non-slip or soft faux-suede). 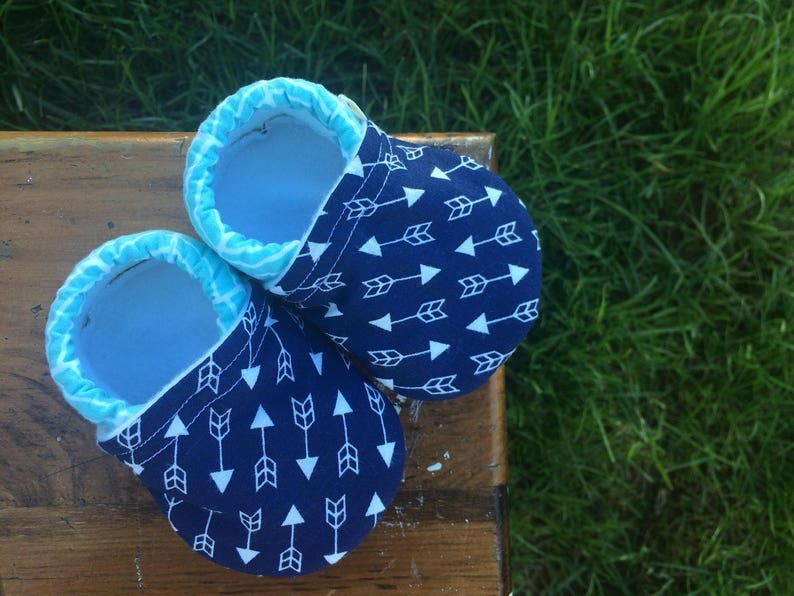 They will keep baby's feet warm and cozy, and the elastic around the ankle will ensure that they aren't kicked off! They are absolutely adorable! Well made too!